Get ready to own one of Orange County's Best Burger and Health Food Concepts! The best burgers in Orange County? They have them! People are lining up to eat at this busy, trendy burger joint. 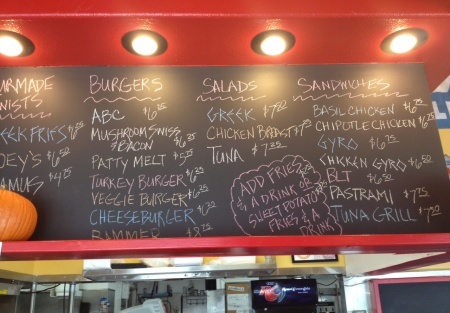 With a culinary-trained chef for an owner, the menu is concise, simple, fresh and, most importantly, delicious! Health issues has recently required owner to lower price to unreal levels. Opportunity knocks with this cool concept! All of the burgers are made with Angus Beef and handmade daily. This is what separates this place from its competitors. Fresh ingredients. Big portions. Feed them great food and give them plenty of it; they will come back! Along with burgers, the chef has created delicious chicken sandwiches, huge salads, and offers a few vegetarian options as well. All of the recipes are original and pack a punch! It's located on the corner of a busy intersection that draws in a lot of business. Along with the current regular clients, this place has promise to only grow. The owner operates with six full-time employees and is only there 75% of the time. Unfortunately, due to health issues he is moving on but his loss is your gain!! The rent is very low and currently holds no liquor license but adding this could only help your sales and profitability. The lease is very reasonable with two years left and two five year options available.